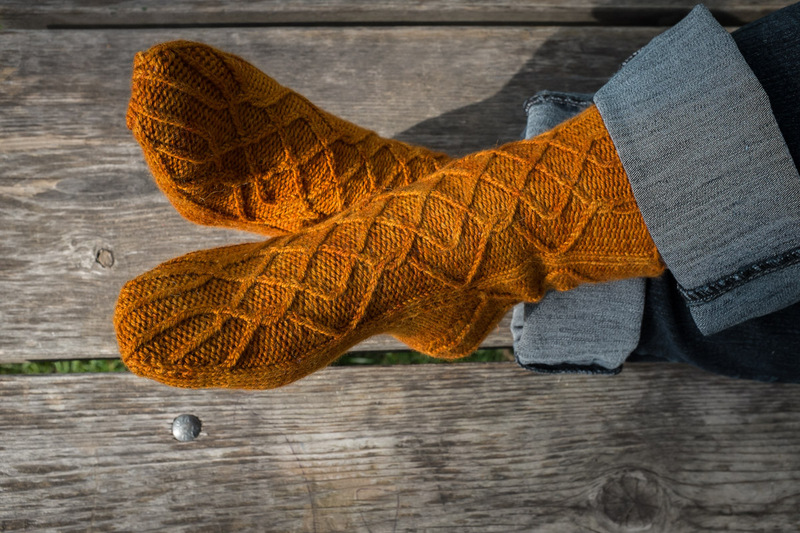 This entry was posted in Uncategorized and tagged gbfibreco, kilcoursie DK, knit, knitting, pattern, rosseau pumpkin, signal hill, sock, socks by Rayna. Bookmark the permalink. Thanks, lovely! I could not have done it without you! These were in progress for a while; I am happy to have them finally released. Yay! Good job, Rayna! I love it! Oh, thank you, Anne! They are super cozy, too! These socks look so beautiful and what a colour!